There are certain scents and flavors we equate with every holiday. For me, the holidays smell and taste like peppermint. The strong yet calming smell makes me immediately think of candy canes, pine trees and presents. And it wouldn’t be the holidays without a large peppermint mocha latte from my favorite coffee spot. I set off last holiday season to recreate the drink at home and give it my own spin. 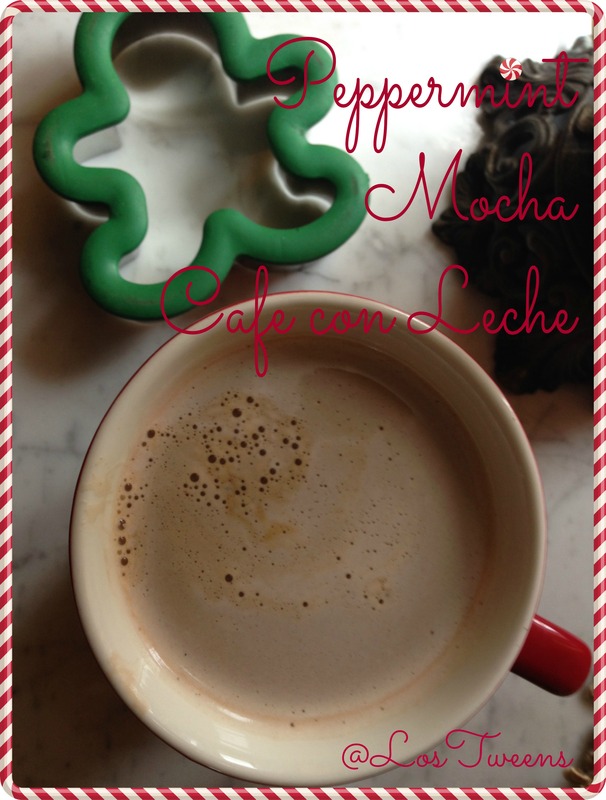 What I ended up with was the perfect cup of Peppermint Mocha Cafe con Leche – after all, it did need a little Latina twist! I’ve simplified the recipe down so that all you need are a few key ingredients, a microwave and an espresso maker. Enjoy! Add the sugar, cocoa powder and peppermint extract into one large mug. Pour in the milk and microwave for a minute and 20 seconds. Adjust the timing depending on your preference. Remove from microwave and stir while adding espresso shot. This entry was posted in Holidays, Ideas, Recipes and tagged cafe con leche, coffee, holidays, recipe. Bookmark the permalink. I did however expertise some technical issues using this website, since I experienced to reload the site lots of times previous to I could get it to load correctly. score if advertising and marketing with Adwords. Anyway I am adding this RSS to my email and could look out for a lot more of your respective exciting content.